Campus Development Fee: One-time payment of 150,000 Thai Baht (refundable); or Annual payment of 20,000 Thai Baht (non-refundable). *There are two semesters per academic year. Boarding is available at an additional cost at ASB Green Valley Campus for children aged 6 and over. ​The boarding cost for the academic year 2019-2020 is as follows: 152,000 Thai Baht per semester (for grades 1-5); 161,500 Thai Baht per semester (for grades 6-12). The ELL program cost for the academic year 2019-2020 is as follows: 51,000 Thai Baht per semester (for grades 1-5); 52,500 Thai Baht (for grades 6-8); and 55,000 Thai Baht (for grades 9-12). 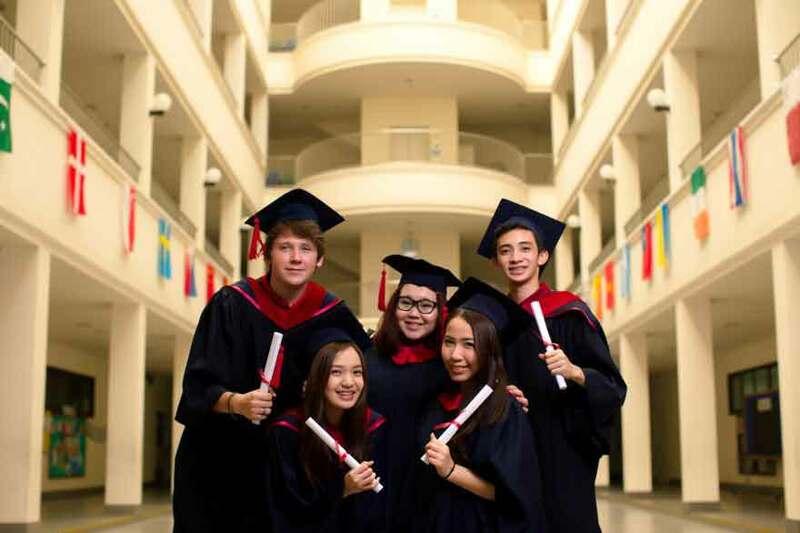 New students are required to pay the Registration fee, Refundable Deposit, and Campus Development Fee upon enrollment into The American School of Bangkok. Tuition fee is inclusive of accident insurance, book rental, notebooks, and field trips within the city of the school area only. Tuition fee includes meals and snacks for grade levels Nursery to Grade 12. Kindergarten 2 students are required to pay an additional 3,000 Baht graduation fee. 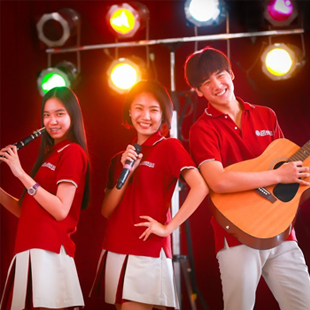 Grade 12 students are required to pay an additional 10,000 Baht graduation fee (this is inclusive of graduation ring). ELL Programs & After - School Tutorial programs are available at both campuses at an additional cost. All fees must be paid in full before a student may begin school. The registration fee is a one-time fee for each student enrolled. The tuition fee and transportation fee may be paid per semester or per year. Invoices are usually sent in advance of the new semester. Payment must be made by the deadline stated on the invoice. Payment can be made either by cashier cheque made payable to The American School of Bangkok; bank transfer; or by credit card (Preferably VISA or Mastercard - this method comprises of 2.5% additional charge). Please contact the Finance offices of both campuses for additional details. Overdue payment will be subject to a fine of 400 Thai Baht per day, unless prior arrangements have been made with the finance office. A written notice of 30 days prior to formal withdrawal is required. All fees (except for the refundable deposit) are non-refundable and non-transferable. ​All fees are subject to change without prior notice.